How much do you LOVE our challenge graphic for this week?? Has Edna got her glitter on or WHAT??? Thank you to Sister Lee for making her extra glittery this week! We call her our blog goddess for a reason dontchya know! Glitter - yeah - I am not a fan - it gets everywhere...you know what they say - glitter is the herpes of the craft world! OK let's be honest...I effin' HATE glitter. Having said that, I am kinda pleased with how my card came out...I used heat and stick powder to make sure that glitter stayed where it was put! 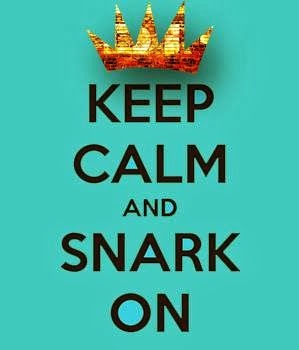 I also thought that glitter begged for a certain degree of snark, so I pulled out the sentiment stamp you see below. I didn't think the glitter on the sentiment was QUITE enough so I used my versamarker to draw (crooked) lines on the card, more heat and stick powder (I REALLY don't like glitter moving from where I put it) and then glittered it up. I didn't even use any adhesive tape on this card, everything is attached with foam squares (the sentiment), glue dots (the pink and blue bling) or staples. 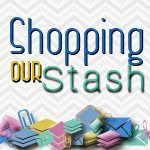 Want to get in on the fun??? Sure you do!!! 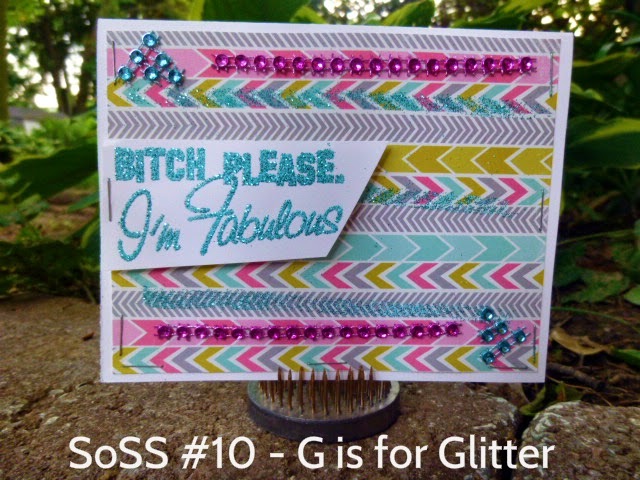 Visit the SoSS BLOG for all the details of the G is for Glitter challenge. 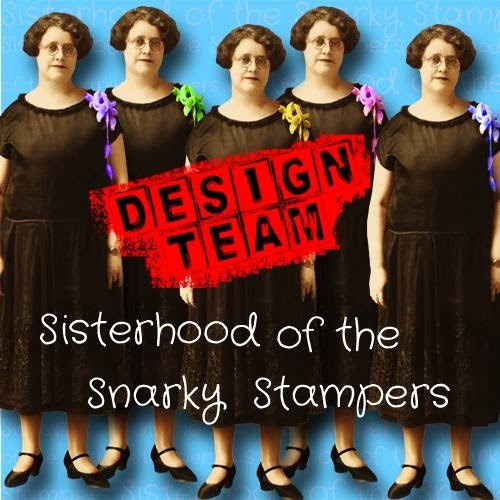 While you are there, visit the sisters' blogs and show them some snarky / crafty love! I can't tell you how much I LOVE this card, Donna! It is snarky, glittery perfection!! I NEED that sentiment stamp!! LOL! Love the chevron paper and who doesn't love the bling!! Excellent! Awesome job on the challenge Donna. love the sentiment!!! Fantastic card! It sparkles and is snarky. You're the best. Great job.i love it. Shannon loves glitter..she calls it the same as you. I'll just add my vote to those of our sisters -- that is a fine bit of sentiment snark. Especially when it GLITTERS! :D Love the card, Donna. I love love LOVE that sentiment so much. Seriously. I'm going to have to play with my heat & stick powder again because so far all I've done is made a mess with it & unsuccessfully stuck nothing.